I thought mayonnaise was weird, peanut butter? that's way too weird. How about just a little salt. Peanut butter? Gosh! I don't fancy it. Ah yes. 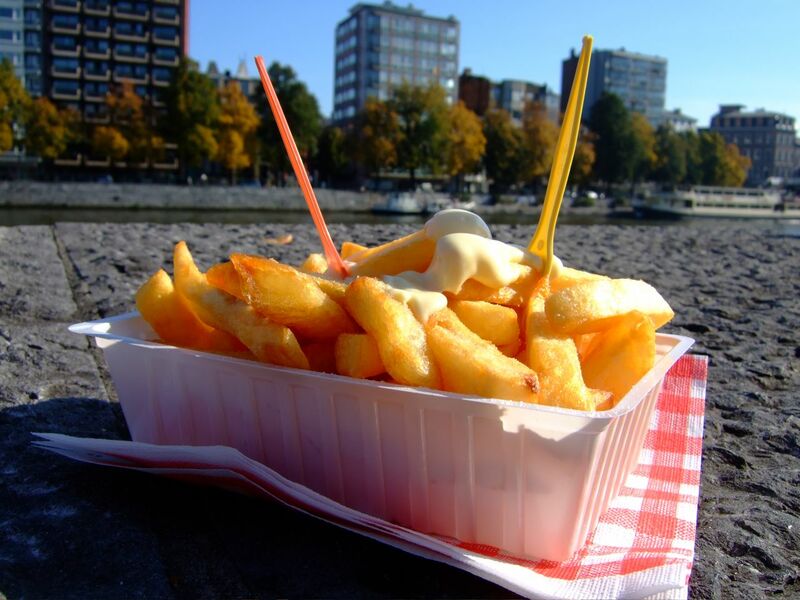 Good fries by the river Meuse. Has anyone ever tried mayonnaise and white vinegar. Love it. but the picture just makes me hungry! Man, those look good. The craze here is to eat them with Ranch Salad Dressing. I prefer vinegar. I'm from the Netherlands. No, we don't eat it with peanut butter blehggg !!... We eat it with Indonesian peanut butter sauce. That's a very nice tasting sauce, although de dutch are not very good in making it. Mostly the taste of peanuts is far to find :-(. 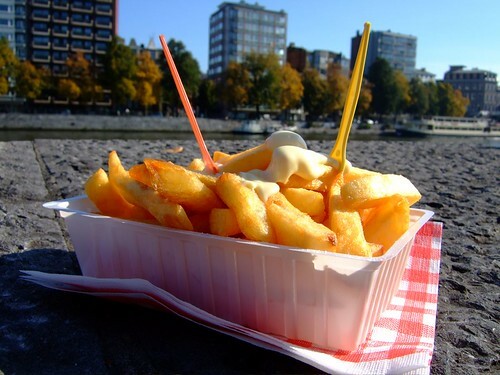 But whenever come to the Netherlands please order "frietje pinda" or "frietje oorlog" (thats peanutsauce and mayonaise) and try it out ^^. I love it!